It was my first taste at Ang King Lam Coffee Shop. 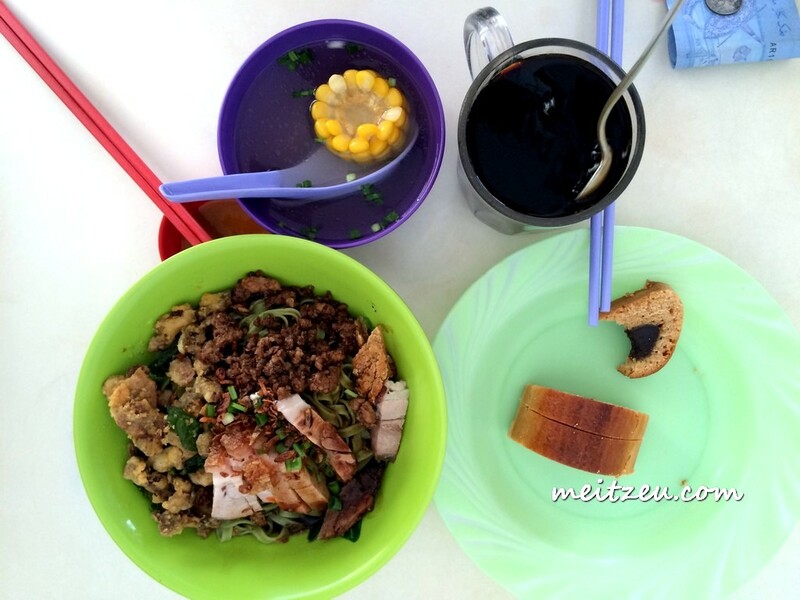 Morning breakfast in Kota Kinabalu will be can't avoid from noodles, what ever noodles that you might think off. 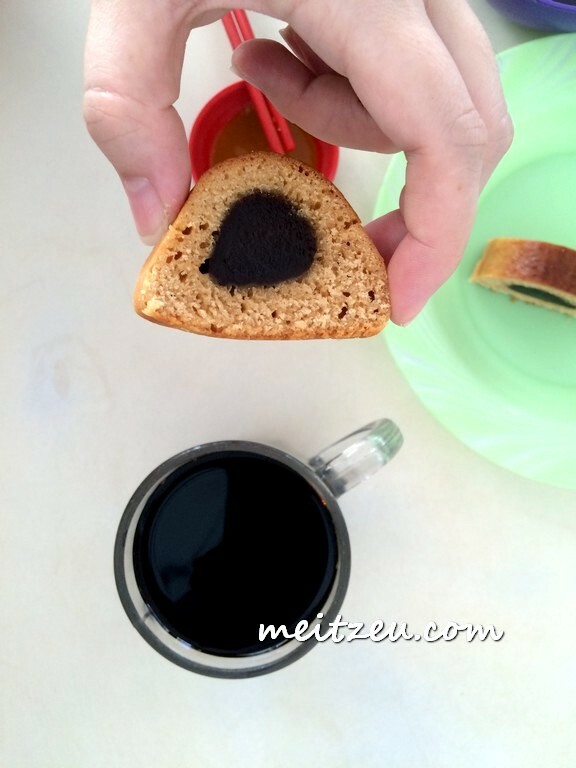 Mon said that she love the TauSa Cake, therefore Mr. Hubby bought a few loaf (price was cheap) for the family. Talk about the green noodle we had, I totally loves it! The fried minced meat, especially the curry leaves fried with shallot was a WOW! Something different to taste in town! I am happy with what I have tasted, not much oil to stir the noddles. Corn soup was sweet and black coffee just my cup of coffee (instead of tea!). In KK and even other Chinese coffee shop will be serving similar name with various ingredients to be add in to suit our taste, those just Mr. Hubby's choice. It was nice to be in town and tasted the local food, moreover I saw the person that once bully me during my primary school time. Those days just I'm too stupid to be bullied. First, I was wondering which one of the two stall that serve the famous Kon Lou Noodle where introduced by many. Wala! 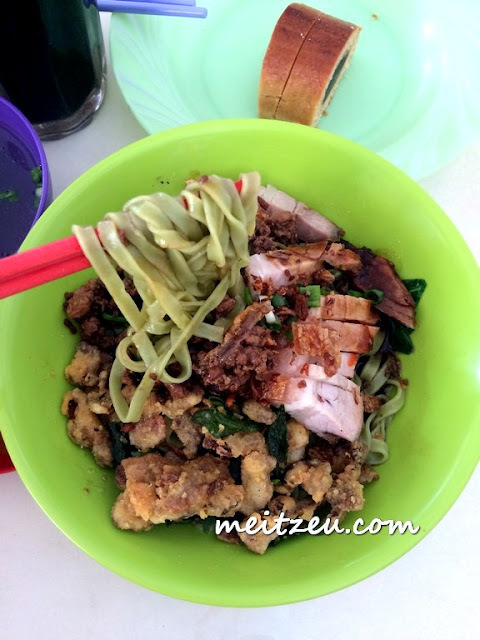 I present you this plate of Kon Lou Mee! It is the old couple which the husband originally from West Malaysia. 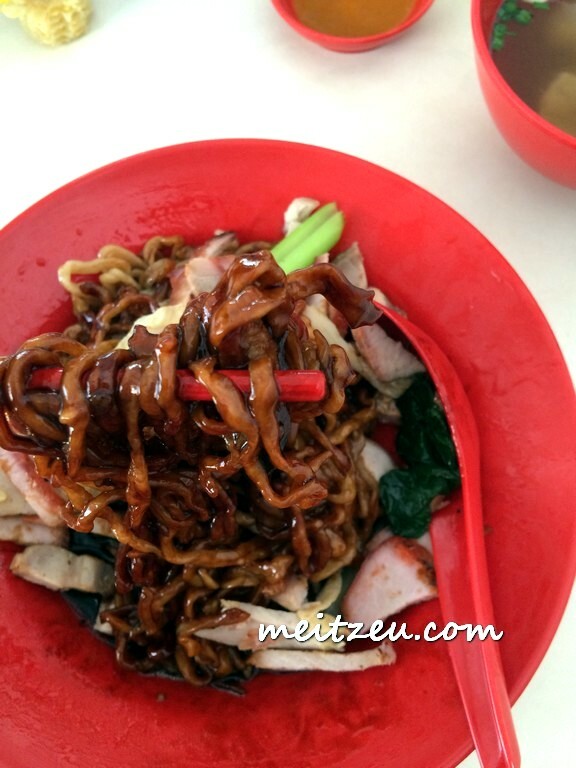 Thumbs up on the springy noodle, but I'm not favouring the oily based of the Kon Lou noodle. Can you see the oily plate. It was a nice breakfast downtown the other day. :) I will be back for the coffee shop Kon Lou Mee! Good recommendation for local Chinese food. Reasonable priced!